As a Certified Specialist in Hadoop Programming, you will be able to write, customize and deploy MapReduce jobs to summarize data, load and retrieve unstructured data from HDFS and HBase, and develop Hive and Pig queries to simplify data analysis. As a Certified Expert in Hadoop Programming, you have demonstrated the ability to develop solutions that run on the Hadoop platform, write, customize and deploy MapReduce jobs as well as load and retrieve unstructured data from HDFS and HBase. 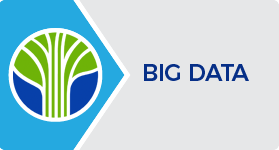 You have the expertise to leverage Pig and Hive to prepare and analyze large data sets. Certified professionals of this program possess the expertise to build competitive strategies around data-driven insights. They have the expertise to work with Hadoop, RHadoop and Mahout as well as leverage Pig and Hive to prepare and analyze large data sets.